Henry Purcell’s Dido and Aeneas is not like Bizet’s Carmen or Puccini’s Madame Butterfly. It is hardly one of the evergreens companies stage year after year to satisfy their subscribers’ expectations. 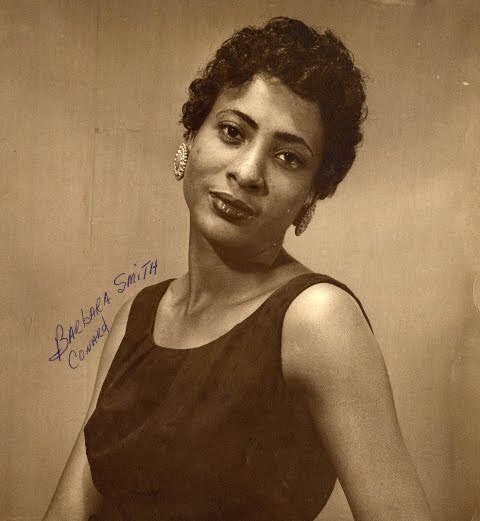 However, it played an enormously significant role in the life of mezzo-soprano Barbara Smith Conrad. Her frustrating experience with the Purcell opera forms the central nucleus of Mat Hames’ When I Rise (trailer here), which airs next Tuesday on most PBS stations as part of the current season of Independent Lens. Conrad is a Texan, hailing Center Point, a small town founded by five freedmen, including her great-grandfather. In 1956, she was also part of the first racially integrated class at the University of Texas in Austin. While not exactly welcomed by everyone on campus, Conrad found a home in the school of music. She made lasting friendships and found her remarkable voice was appreciated and accepted, regardless of her race—or so it seemed. Then she was cast as Dido, which would require her to appear in romantic scenes with the white lead. When word got out, the segregationist members of the state legislature, led by Conrad’s own representative, Democrat Joe Chapman, threatened cut the university’s funding. Despite the protests of both the Republican and Democrat student organizations, as well as the student body president, the university president obediently rolled over. Hames briskly covers some of the highlights her career, such as playing Marian Anderson (her greatest role model) in HBO’s Eleanor and Franklin, and becoming one of the world’s foremost interpreters of spirituals. Still, he always returns to University of Texas. Conrad did indeed finish her studies at UT, but her feelings towards her alma mater were clearly always ambivalent. Yet, in Rise’s third act, Conrad returns to Texas and her university for a series of honors recognizing her contributions to the arts and seeking to redress past wrongs. Fittingly, it would be the current representative from Conrad’s former East Texas district, Republican (though not ide ntified as such) Bryan Hughes, who took the lead in the legislature’s ceremonies. Scrupulously nonpartisan, Rise is more interested in the possibility of redemption and forgiveness than politics (past or present), or even music. Viewers do hear several excerpts from Conrad’s recordings, but Hames favors her spirituals that inspired his title and would probably be more accessible for general audiences. Regardless, Rise certainly reaches an emotional crescendo as Conrad comes to terms with her past. Hames’ compelling portrait of Conrad’s forceful but grounded personality is also the sort of PR outreach opera needs, given its elitist perception in the popular media. 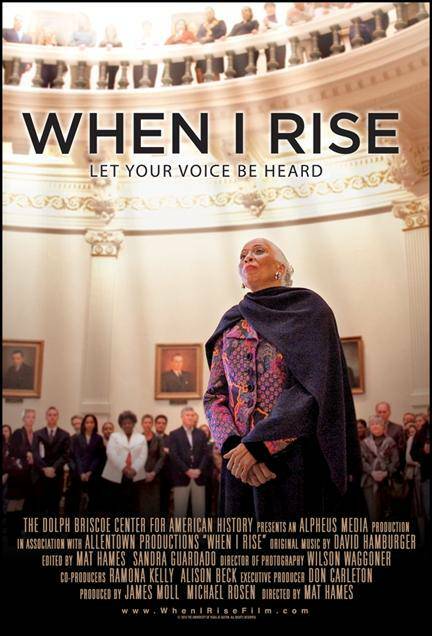 Classy and respectful, Rise is one of the highlights of the current season of Independent Lens, well worth seeing when it airs this coming Tuesday (2/8) on most PBS outlets. Waiting for Forever: What were they thinking?